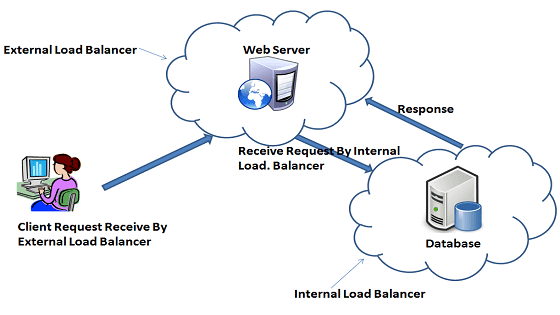 The Classic Load Balancer & Application Load Balancer are the external load balancers which could be access by external client over Internet having public IP addresses hence external load balancer routes the request from client over Internet but some times we need to load balance internal services which are not accessible by external clients. 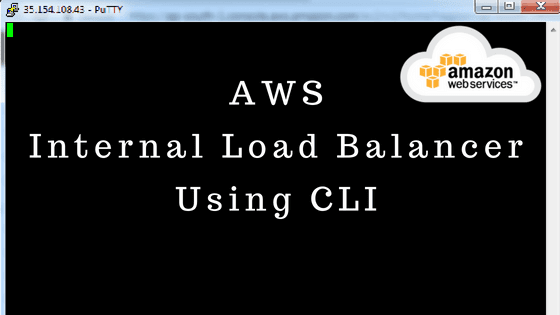 For Example: In AWS bunch of micro services which is only used by AWS Infrastructure internally so to balance the load of these internal services we can use Internal Load Balancer. The Internal load balancer only have private IP address and therefore internal load balancer only route request from client which have VPC access. For Example: If our application has multiple tiers like web server connected to Internet and Database server that only connected to Web server. So in this case we can create a Internal Load Balancer for Database Server. Web Server will receive request from External Load Balancer and send request to Database Server via Internal Load Balancer and DB Server receives request from Internal Load Balancer and will respond to Web Server. scheme : In this parameter we need to pass value 'internal' because by default it will consider 'external' which means public internet facing load balancer. Output: It will show one DNS with prefix 'internal' like "internal-pgelbinternal-021252222.region.elb.amazonaws.com"
We can verify it from AWS management console by clicking on Load Balancer menu.